Single loose buttoned seat cushion, boxed with topstitching. 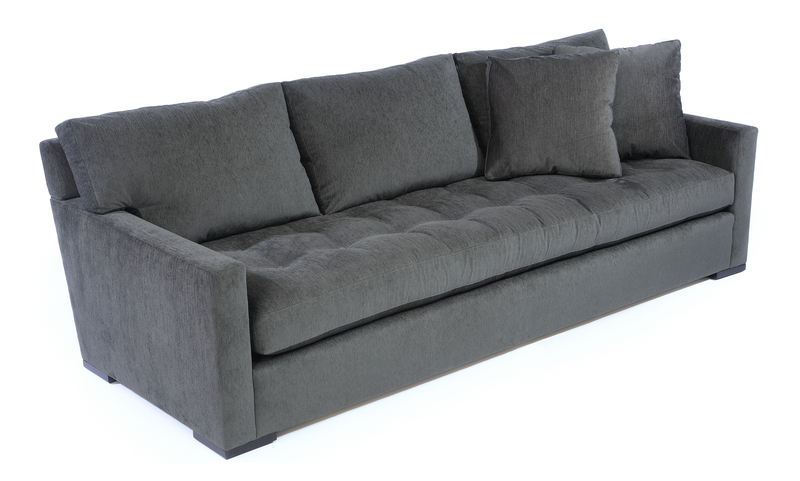 Loose back cushions, boxed with topstitching. Fill is 50/50 Down/Feathers with foam core in seat. Topstitch detailing on frame. Mahogany sleigh feet finished in a standard stain. Custom modifications available.